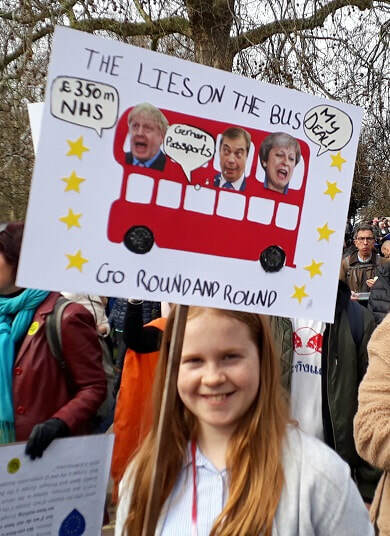 Our group took 2 coachloads of supporters to the People's Vote march in London on 23 March 2019. Some had never been on a demonstration before. Coaches also ran from Stroud, Gloucester and Cheltenham. Supporters in Bristol and Bath even hired a train! An estimated one million people took part, making it one of the biggest political demonstrations ever held in the UK. The colourful, peaceful march was led by thousands of young people whose voices have often been ignored on Brexit. There were speeches from young people, doctors, business leaders and MPs from the Conservatives, Labour, Liberal Democrats, Greens, the SNP and the Independent Group.